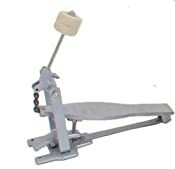 This is a best seller! 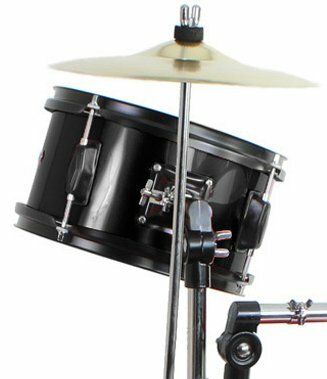 This brand new junior drum set comes with everything you need to start playing included - 16" Bass Drum with 6 lugs, 2 Mounted Toms, Bass Drum Pedal , 10" Cymbal, Drummer's Throne (stool), Pair of Sticks & Drum Key. Some assembly is required and instructions are included. 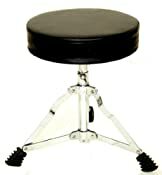 This will make a perfect gift for any aspiring young musician and has been a customer favorite for years! 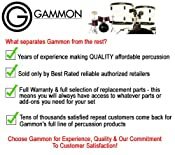 We are an authorized Gammon retailer. Comes in one easy to wrap box! 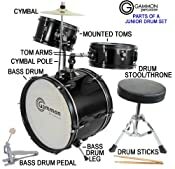 Gammon is the leader in affordable quality drum sets.